BIOSKOH has officially launched! The project took part in the Bio-based Industries Joint Undertaking (BBI JU) session The Bioeconomy in Everyday Life on 17 October at the Bratislava Bioeconomy Conference (BBEC 2016). 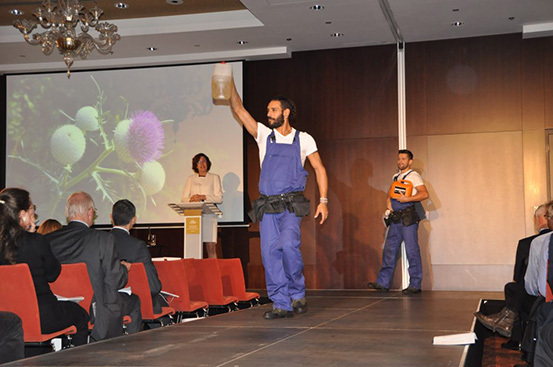 A range of everyday bio-based products were presented including dandelion rubber tyres, dresses made from milk fibres, biodegradable compostable shopping bags and BIOSKOH’s bio-ethanol. Greener production methods and processes were shown to offer real progress towards a bio-based economy. BBEC 2016 was organised by the Slovakian Presidency and the European Commission. 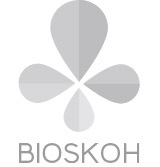 Later that week, BIOSKOH presented its Innovation Stepping Stones at the European Forum for Industrial Biotechnology and the Bioeconomy (EFIB 2016). BIOSKOH joined fellow BBI JU projects EXILVA, FIRST2RUN and Valchem during the Case Study Panel Funding Success Stories on 20 October. EFIB 2016 took place at the Scottish Exhibition and Conference Centre in Glasgow, Scotland. Both presentations highlighted how BIOSKOH will showcase a sustainable, circular bioeconomy for Europe and explore emerging biomaterials such as lignin and bio-ethylene.